Easy Ceiling manufactured and fitted a stretch ceiling with a print of a blue sky with clouds. 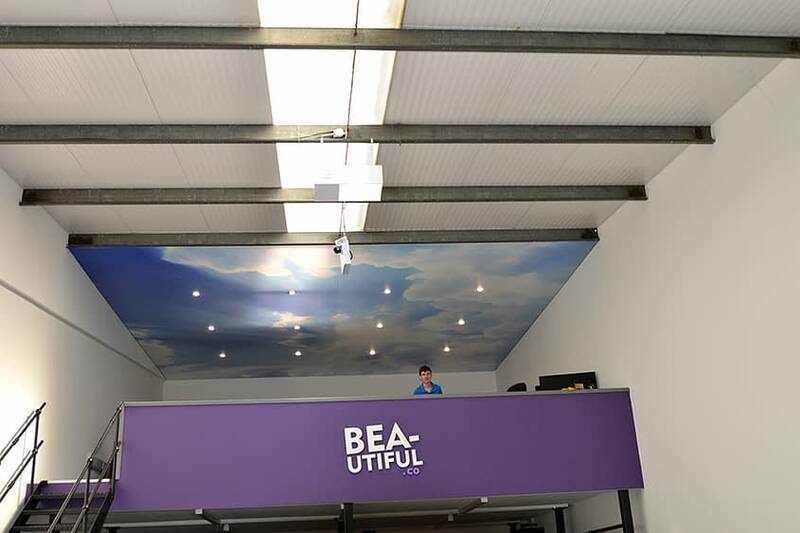 As a printing company Bea-utiful Design wanted an original designer ceiling that would inspire their staff and impress customers. Printed stretch ceiling to create a unique look for their office.